S -16° 47' 49" and E 47° 39' 5"
Tsaratanana in Betsiboka Region with it's 16,761 residents is a town located in Madagascar about 146 mi (or 236 km) north of Antananarivo, the country's capital place. Time in Tsaratanana is now 02:34 AM (Friday). The local timezone is named Indian / Antananarivo with an UTC offset of 3 hours. We know of 8 airports nearby Tsaratanana. The closest airport in Madagascar is Tsaratanana Airport in a distance of 4 mi (or 6 km), North-West. Besides the airports, there are other travel options available (check left side). There is one Unesco world heritage site nearby. It's Royal Hill of Ambohimanga in a distance of 31 mi (or 50 km), South. Being here already, you might want to pay a visit to some of the following locations: Maevatanana, Andilamena, Amparafaravola, Ambatondrazaka and Mahajanga. To further explore this place, just scroll down and browse the available info. Let's start with some photos from the area. 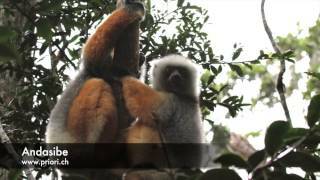 Here you can see and hear the Sifaka and also see some of the other lemurs and different animals you can find in Andasibe, Madagascar. Tsaratanana Airport is an airport in Tsaratanana, Betsiboka Region, Madagascar. Located at -16.75, 47.617 (Lat. / Lng. ), about 4 miles away. 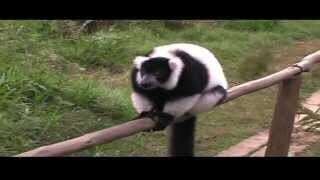 Tsaratanana is a town and commune in Madagascar. It belongs to the district of Tsaratanana, which is a part of Betsiboka Region. The population of the commune was estimated to be approximately 18,000 in 2001 commune census. Tsaratanana is served by a local airport. In addition to primary schooling the town offers secondary education at both junior and senior levels. The town provides access to hospital services to its citizens. Located at -16.7972, 47.6528 (Lat. / Lng. ), about 0 miles away. Bekapaika is a town and commune in Madagascar. It belongs to the district of Tsaratanana, which is a part of Betsiboka Region. The population of the commune was estimated to be approximately 12,000 in 2001 commune census. Only primary schooling is available. The majority 50% of the population of the commune are farmers, while an additional 35% receives their livelihood from raising livestock. The most important crop is rice, while other important products are bananas and cassava. Located at -16.75, 47.5667 (Lat. / Lng. ), about 6 miles away. 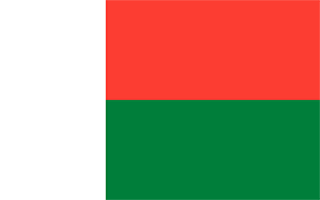 Tsararova or Tsaravova is a town and commune in Madagascar. It belongs to the district of Tsaratanana, which is a part of Betsiboka Region. The population of the commune was estimated to be approximately 7,000 in 2001 commune census. Primary and junior level secondary education are available in town. The majority 60% of the population of the commune are farmers, while an additional 39% receives their livelihood from raising livestock. Located at -16.7, 47.6667 (Lat. / Lng. ), about 7 miles away. St Andrew's is a Catholic co-educational school, currently enrolling 1500 students from Prep to Year 12. The College opened in 2001, commencing with Pre-school to Year 4. The buildings have been designed to enhance the natural environment of the campus. They have been grouped on the design plans to provide for the needs of Junior School (Preschool to Year 5), Middle School (Years 6 to 9) and Senior School (Years 10 to 12) sectors. Located at -16.7731, 47.6994 (Lat. / Lng. ), about 4 miles away. These are some bigger and more relevant cities in the wider vivinity of Tsaratanana.